To commemorate the 150th anniversary of Swami Vivekananda, the year 2013, is dedicated to Swami Vivekananda and throughout the year, the progrmmes will be organized throughout India. With the popularization of cell-phones, internet and other electronic and print media, secular, materialistic ideas and unhealthy tendencies such as indiscipline, aggression, drug addiction, alcoholism, and immorality are also spreading among the youths. As a result many of the youths run the risk of losing faith in God and religion and straying away from the moral path. The need of the hour is to understand the moral values and spiritual values by the youths of today and they must adopt the teachings of Swami Vivekananda in their life. A regal, majestic figure of commanding presence, vast learning and deep insight, Swami Vivekananda was barely 30 years old when he created a stir at the World’s Parliament of Religions in Chicago in 1893. Three and a half years later, when he returned to India, his homeland, it was as a colossus of strength, courage, confidence, love and manliness– the embodiment of the ideal of the ‘man-making and character-building’ education he propagated. 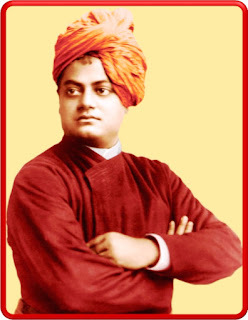 Swami Vivekananda was born Narendranath Datta on 12 January 1863 in Calcutta in a respectable middle-class family. His father, Viswanath Datta, was an attorney and was a lover of the arts and literature. Although liberal-minded, Viswanath was skeptical about religious practices. On the other hand, Narendra’s mother, Bhubaneshwari Devi, was a pious, kind-hearted lady, devoted to the Hindu traditions. 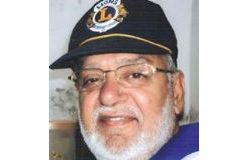 The influence of each of his parents on Narendra was different, yet together they provided a congenial atmosphere for the precocious boy to grow into an energetic young man with high ideals. During his formative years he developed extraordinary mental abilities which some people either misunderstood or ignored, but which others appreciated and took as signs of an outstanding individual. As a child he liked to play at meditation and would easily become engrossed. Once when he was seated thus in meditation along with some of his friends, the sudden appearance of a cobra slithering across the floor drove all of the children out of the room except Narendra, who remained absorbed in meditation. He himself a visionary and an original thinker, Vivekananda pointed out in his first public lecture in Asia, on 15 January 1897, “Education has yet to be in the world, and civilization”. The mildness, gentleness, forbearance, tolerance, sympathy and so forth – the signs of a healthy civilization – have not taken root in any society on an appreciable scale, although we prematurely boast of a global village. As divisive forces are working to weaken the country, it was necessary to learn from Swami Vivekananda’s ideals and keep the country united. The lack of basic necessities among the underprivileged all over the world is no less striking than the lack of morality among the educated privileged ones. To squarely meet this great challenge, Vivekananda prescribed ‘man-making and character-building education’ and for this reason, if not for anything else, Vivekananda’s thoughts on education ought to be seriously re-examined today.